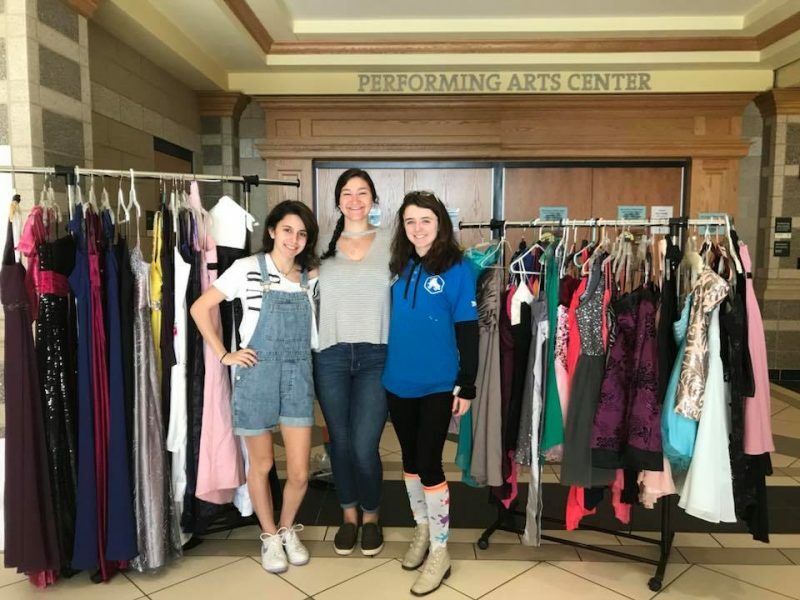 The Somerset Berkley Regional High School Girl Up Club has scheduled its second annual prom dress giveaway at the high school for area teens. According to Tracy Medeiros, who along with Christina Burgmyer advise the club, the group wanted to help with the cost of what can be a very expensive event. “The students wanted to do something that would benefit students in our community. Prom/dance season can be so expensive, and we realize some students and families either can’t afford a new prom dress and accessories, or would rather spend their hard-earned money on other things. So, we decided to have the prom dress drive to help with the outrageous costs of proms and semi formal events these days. We also wanted to open the drive to students beyond our SBRHS community. Students from any area schools (Fall River, Swansea, Westport, New Bedford, etc) are welcome. Members of the community who are interested in donating the new or gently used dresses and accessories, can drop them off on Saturday April 6th or Saturday April 27 from 9-11 a.m. at the Gym/Performing Arts Center entrance to SBRHS. The Girl Up Club is in it’s second year and is quickly making an impact on the community. The club itself is open to all genders and is based on the idea of promoting the health, safety, education, and leadership of girls. The Girl Up Club prom dress giveaway is scheduled for Saturday May 4th from 9-11 a.m.
Members of the community who are interested in donating the new or gently used dresses and accessories, can drop them off on Saturday April 27 from 9-11 a.m. at the Gym/Performing Arts Center entrance to SBRHS.